Grammar: <klimaat> [noun] [het klimaat, de klimaten]. 1. "Nederland heeft een zeeklimaat." 2. "Vandaag is in Nairobi de klimaatconferentie van de Verenigde Naties begonnen." 3. 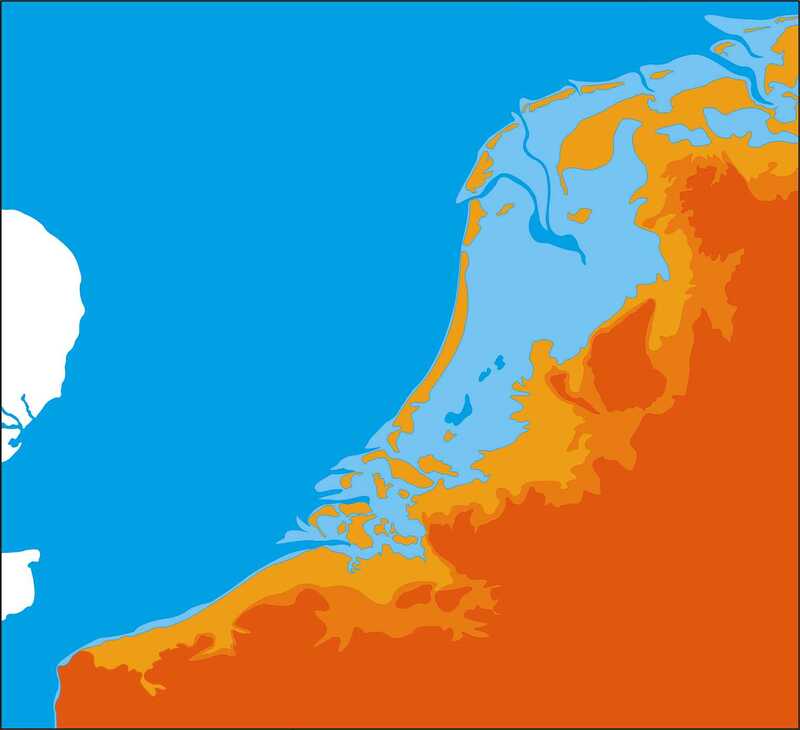 "Het sociale klimaat in Nederland is de laatste jaren verhard." 1. "Broeikaseffect": the greenhouse effect, global warming. 2. "Weer": weather, see also "DWOTD 56. Herfst". 3. "Het gat in de ozonlaag": the hole in the ozon layer. 4. "Acclimatiseren": [verb] to get used to a different climate or surroundings. <sitting down after having entered a friend’s house:> "Zo, even acclimatiseren!" In 1953, the so called "Watersnoodramp" took place. In the last night of January, The Netherlands were hit by a flood disaster. The province of Zeeland, the islands of South-Holland and the south-west corner of the province of North-Brabant were hit very heavily by a severe storm roaring across the North sea and the Netherlands. 1835 people drowned and thousands of cattle met the same fate. To prevent this from happening ever again, the Deltaworks were built, a defence system of dams and dykes against high tides and floods. Dutch engineers have also been invited to advise on new water defence systems in New Orleans. This entry was posted in Dutch word of the day, DWOTD 1.0, Vocabulary Basic and tagged klimaat, weer by Dutch Gurus. Bookmark the permalink.